As we all know cannabis is a weed. It’s a very versatile, adaptive plant species that could grow in the cracks of pavement in the sidewalk. One of the amazing things about our sacred plant is the more you nurture it, the more it can and will give back to you. I see a lot of good cannabis, but not so much memorable amazing cannabis — I would like to see more. One reason I believe I see this is many talented growers stick to what they know and/or what works for them. While it’s true many growers improve their methods over time through research and trial and error, I still think some lack diversity in what they give their plants and miss out on really pushing the limits from good to great or even amazing cannabis that is memorable. For some this is due to the drop in market value of their crop vs. the rising cost of production (i.e. soil, nutrients, amendments, etc.). Of course with any business economics is a key to being successful. Efficiency with cost of production could make or break some growers over the next several years as the wholesale market price continues to decline. For those who want to compete and remain in the future, however, you must stand out and have something special to offer. Whether a regulated medical or recreational California market or the black market that has sustained the local culture in the Emerald Triangle for decades, we will need to do better. Better pest management, better quality, and better yield production. Overall, better efficiency in needed. One of the best ways to push cannabis to its limits of potential quality and quantity is diversity. Let’s talk about it. Many experienced growers tend to go in one direction or another when it comes to feeding/plant nutrition. Some use a diverse soil mix packed with amendments rich with macro/micro nutrients, and beneficial microbial life designed to break down over time and allow for minimal additional feeding over the course of a long grow season. Others prefer a lighter, cheaper soil and focus on bottled, commercially available nutrients and additives for feeding regiments. Many use simple, cost effective organic aerated compost/worm casting teas. 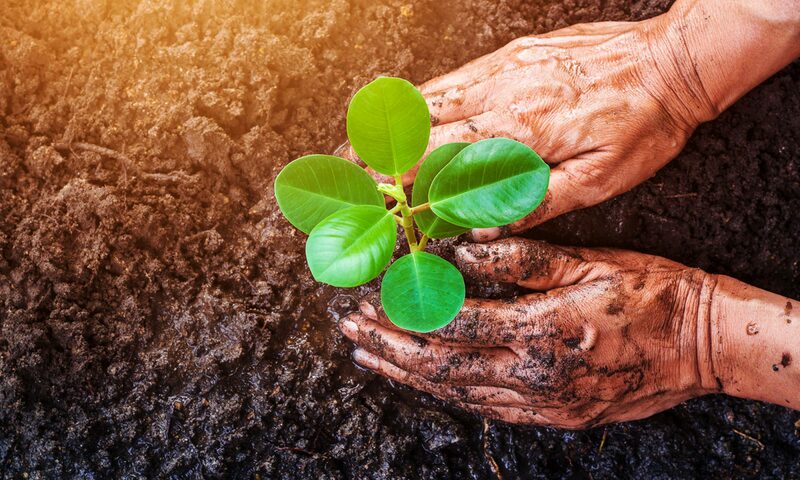 Thriving with beneficial microbial life, that colonize the soil and plants root zone, they assist with nutrient availability and over all plant health. Then there is the advantage of foliar spray feedings, which can be done with different nutrient products or aerated teas. Lastly there is the option to use an organic amendment top dressing acting as a slow release fertilizer and reinforcement of beneficial microbes. Why not go with a balance of all these techniques? By doing so you’ll be surprised how you can cut back certain costs and your quality and yield will impress you, even if you’ve been doing what works for you for years and your happy with your current results. Think of it as a Five-Point Attack. By using a balance of these you will use less of each than if you were utilizing just one or two, ultimately spending less on each, and getting the well rounded benefit of diversity. Your value is responsible spending for increased quality and yield, you can’t go wrong. You can cut back on the use of amendments in your soil mix. Many times a build up of nutrients in a hot soil mix will result in a harsher burn impacting flavor and taste even after a long season and a good cure. Focus less on guanos and manures in your soil and prioritize quality worm castings and compost. Use some kelp, rock dusts, and gypsum. It’s important to keep your soil mix diverse with ingredients, just cut back on how much of each you normally use. With bottled nutrients and additives you can now use them less frequently. Try feeding every 10-14 days instead of every 5-7 days. Half the use is half the cost. You can depend on your other feeding sources to compensate for the less frequent feedings. Compost teas are cheap and effective. Brew up compost, worm castings, some kelp, maybe some ruck dust minerals, and a food source like molasses for the microbes. You can apply teas every 7-14 days for minimal cost, although some growers achieve great results using once a month. The tea will aid the functionality of your soil, and microbes will breakdown nutrients making them more readily available, as well as protect plants from viruses and pathogens. Foliar sprays are extremely effective and I’m surprised many growers don’t apply them more. While they do require some extra work hours, they can make a huge difference in a plant’s health and growth rate and are a huge advantage. You can use commercially available nutrient and additive products or spray with an aerated composted tea that was also brewed for a root drench. Many microbes in a tea when sprayed on a leaf surface will colonize it and compete for surface space with pests such as powder mildew fungal spores and botrytis (bud mold). Be sure to use a wetting agent so the spray will remain on the leaves and not drip off. I like to use a little organic liquid dish soap or yucca extract. Top dressing is a great boost for your plants if the timing and ingredients are done correctly. Sometimes your plants growth rate may be slowing down in between feeding or in transitional periods. A well-timed and measured top dress application every 3 weeks or so of worm castings, compost, kelp, guano’s rock dust’s etc., will benefit your soil and plants over a long season. Think of it as soil maintenance or refueling. Gently rub or scratch your top dress ingredients into the top layer of soil, be careful to avoid damaging fragile roots or allowing the top dress to end up on or too close to the plant stock to prevent problems. Make sure to water it in good by hand at least once a week. If there is a build up of top dressing on the surface of the soil late in the season you can remove it to prevent it from effecting the flavor or harshness of your flowers when smoked. By diversifying your approach to feeding/plant nutrition you will really see your plants respond to the advantages you’re providing them with. We all want to increase our quality and production while remaining cost and labor efficient. This is a great way to do it. Your patients, friends, family, buyers, lungs, taste buds, and brain will thank you. Let’s all grow more and better cannabis!